SEE US AT OUR NEW LOCATIONS! We have moved to 10 Coles Crescent in Mono as of Aril 22nd, 2017. 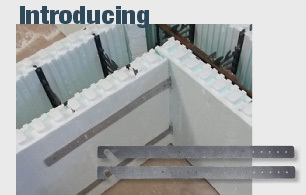 We are Southern Ontario’s most experienced Insulated Concrete Form Distributor and are proud to carry NUDURA, the #1 ICF brand on the market! We pride ourselves in providing outstanding customer service and technical support. Whether you are a homeowner, a design professional or a contractor, we would be pleased to assist you on your next building project! Follow along as we track the progress of an 8 Storey, Net Zero condominium building constructed right here in Toronto with the new Nudura Neopor ICF. Follow us on Twitter to stay up to date with the progress!